Expert analysis identifies ways to help you proactively manage your network or find the source of hidden problems. Use the professional reports provided by LAN-COMM to anticipate your needs or plan for all the elements of a successful migration. Network performance checks can be conducted in a variety of ways to help you achieve your objectives. Get "Hard Data" on Network Segments. You want to improve network performance, but don't have enough "hard data" to make necessary decisions or justify the action plan. The Health Check documents traffic on key network segments during actual business usage by doing a targeted segment/circuit performance appraisal. This Health Check approach provides very detailed statistics on a company's Internet, and/or central server link to the network. This type of performance evaluation delivers utilization, error rates, broadcast rates and protocol/application distributions from one or more key network segments. This offering is typically accomplished over a one to two-day time period. See the "Big Picture" Before Adding New Functionality. The business requires the addition of new functionality but you have concerns about the effect on the existing network. The Baseline Check does an extensive backbone (LAN/WAN) performance evaluation. Replace concerns with quantified, actionable data about the backbone architecture and performance. The Baseline Check provides general performance statistics on all backbone segments including WAN circuits. This approach is ideal for determining the viability of voice solutions over an existing LAN and/or WAN infrastructure. It typically requires a full-week to insure peak periods are accurately captured. The extensive report provided at the conclusion of the audit acts as a long-term blueprint for network growth. Solve Persistent Problems Using Root Cause Analysis. The network has a persistent performance problem that continues to resurface. document the findings, and validate a solution based on the results of a specialized search. An expert network technician, equipped with advanced troubleshooting tools and extensive multi-vendor network experience, is able to diagnose the root cause of difficult network performance problems. This service is provided on a time and material basis. The Wireless LAN Site Survey is the precursor to a successful wireless network implementation. 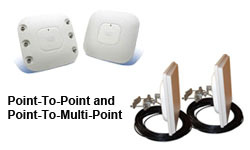 Our familiarity with the unique needs of wireless networks translates into an accurate survey, and well-developed configuration and placement design. 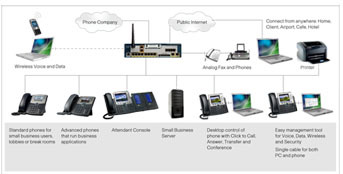 Up-front planning and documentation facilitates the smooth deployment of your wireless network. This service facilitates a successful result while minimizing the risk of disruption to your business. Our familiarity with the unique requirements of wireless bridge installation provide you fast deployment and the long term benefit of knowing that your equipment has been installed following industry standards and meets the optimum performance specifications for your environment. LAN-COMM is a leader in voice and data technology, we can help you plan for your move to convergence. Our extensive experience with voice products enables our engineers to identify areas where you can take full advantage of cost savings and added functionality with little disruption to your existing network. Use this service to create a checklist, provide an optimal LAN/WAN design to support convergence, and identify areas where you can further leverage the efficiency and new capabilities available to you. This service provides engineering expertise to evaluate your network for a migration to Gigabit Ethernet. Take full advantage of new and existing cabling technology to boost your network bandwidth and converge your voice, video, and data applications onto a Gigabit backbone. Get expert help comparing the benefits, such as cost, security, and distance, between copper and fiber in your LAN or across campus. With this detailed survey you can anticipate and plan for increased performance and convergence across your network backbone, from wiring closets to server farms. Enjoy Flexibility With Projects You Define. You need help in specific areas that could be short term or could evolve into larger projects. You are looking for an expert in the field but want flexibility in how you schedule and pay for the services. LAN-COMM offers blocks of time giving you up to 4 hours of on-site engineering. Use the hours for consulting, training or short-term technical assistance on a special project. Utilize the extensive field experience and end-to-end network knowledge of our engineers to augment your own resources or assist with the learning curve posed by new technologies. Purchase multiple blocks for jobs requiring more than 4 hours. LAN-COMM installation services are available for all enterprise products. Experienced engineers manage the process with minimal disruption to your network. Network Installation is a good choice for most complex networking products. 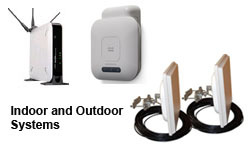 Wireless LAN and Building-to-Building Wireless Bridge Site Survey's and Installation are considered separate offerings due to their unique set of deliverables. Standard Telephone System Installation service provides the basic installation requirements for the installation of up to quantity ten (10) telephones. The engineer begins with a pre-installation plan. Hardware and software is configured for optimal performance. On-site and basic administrative training on the system is also provided. This service supplements Standard Telephone System Installation for advanced systems that include the T1 Digital Line Card, Analog Terminal Card, Analog Terminal Adapter and any optional software. This service is designed to minimize disruption to your business when you add new equipment to your network. Our familiarity with the installation process and equipment translates into faster deployment. You reap the long-term benefits knowing that you installation follows industry standards and that your product is configured to take full advantage of all included features. This service is designed to minimize disruption to your business when you add new equipment to your network. Familiarity with the installation process translates into faster deployment. You reap the long-term benefits knowing that your installation follows industry standards and that your router is configured to take full advantage of all included features. Integration services provide affordable access to engineers who work with you to add functionality, increase security, and make your network more manageable. Integration services can move your projects forward faster and more effectively than if you try to get there alone. Project Management service provides the extra focus and resources that special projects demand. The service is designed for customers who need to supplement their in-house network implementation capabilities. The deliverables are tailored to your individual needs and can include managing the entire process from initial specification to post-project review. For complex network implementation tasks that require exacting management, this service frees you to focus on your core business. Correct implementation of your firewall is crucial to your protection if you are to enforce security policies between your organization's network, extranets and the Internet. Our service includes the review and configuration of the WAN/LAN and DMZ ports, VPN encryption, policies, and content filters. Software and firmware are upgraded to the most current level. Informal training is provided on how to maintain a secure public network environment as well as ongoing sources of information, patches, and upgrades to keep you secure. This powerful, easy to use, software has a rich feature set that can be applied in a myriad of ways to enhance your visibility into networking mysteries. A network management specialist comes on-site to help you take full advantage of the intelligence built into the Network Supervisor software. Based on your network monitoring and report needs, the engineer will work with you to identify key devices and links, set defaults, thresholds, and to determine the best routing for alarms. Using the Network Supervisor software the engineer will identify network misconfigurations and recommend optimizations. Informal training is provided on discovery mapping, stress monitoring, customized reporting, and event viewing. Migration services provide assistance with significant changes in the network like moves from one major technology to another, a change in vendor equipment, or a new network strategy implementation. These situations can be fraught with risk and require a detailed implementation and backup plan. LAN-COMM engineers have extensive experience with all types of complex migrations. End-to-end network knowledge and familiarity with all major technologies enable our professional service engineers to identify resources, define the necessary steps, and specify the optimum sequence of events to obtain a successful outcome. Equally important, our engineers are skilled at change order management, creating backup plans, incident reporting and drawing on a vast number of resources in the event of unforeseen circumstances. The result is a fast, smooth implementation with minimal risk to your business. This service requires a custom quote. Copyright © 2018 LAN-COMM Technologies, Inc. - All rights reserved.